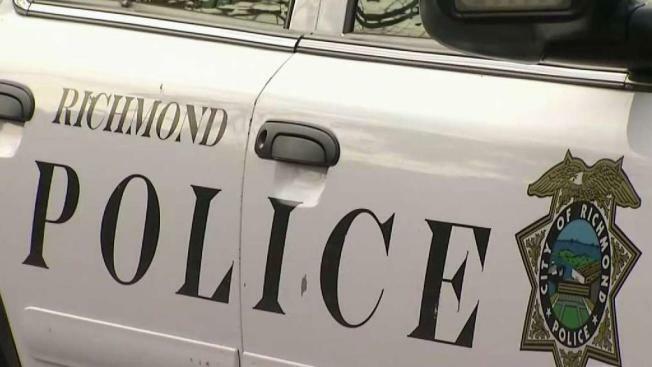 An East Bay woman is accusing Richmond police of excessive force after she said an officer threw her to the ground and allegedly broke her arm, all over a minor fix-it ticket. The exchange was captured on video. But Richmond police maintain Shi Hughes made a bad decision when she exited her car, triggering the officer to react. According to police, the incident started with Hughes trying to explain why she had no front license plate. But the situation changes quickly once she gets out of the car. "He asks for my ID; I told him it's a new car," Hughes said. Friend Angela Douglas said she had a bad feeling about what might happen so she started rolling video. Douglas said she told the officer she was going to her apartment while the officer and Hughes were talking. When she got back, Douglas saw the situation get worse. "Two weeks ago, I got a ticket for this; I told him I refuse to sign this because I was just pulled over for the exact same thing," Hughes said. A police spokesperson says Hughes should have presented that fix-it ticket to the officer and signed the citation to settle the matter later in court. But Hughes stepped out of the car, and the exchange escalated, with the officer throwing Hughes to the ground. "He's just holding on to me ... and things got aggressive," she said. "He grabs me, throws me on the ground and tells me to stop resisting, at what point I did not know I was resisting because I did not know I was arrested." Hughes claimed the officer broke her arm during the incident and told NBC Bay Area that she sought medical attention for her injury at Kaiser Permanente. It was not clear if police were aware of the injury at the time of the arrest. Information on the extent of Hughes' injury was not immediately available. Hughes said she holds three jobs as a chef, security guard and Uber driver. She recently bought her new Jeep and has been waiting for her license plates to come in the mail. "I told them there's people killing, shooting, and you're all over me," Hughes said. "It was excessive." Hughes and her mother say they want Richmond police to go through better training and have better communication during traffic stops. A representative from the Richmond police union told NBC Bay Area from "his perspective," Hughes escalated the situation when she got out of her car. He said people should never do that during a traffic stop. He hadn't seen the video in its entirety, he said.